Last Day at the Office! For various reasons — including needing to pack up a house full of stuff mostly by myself, and also not wanting to have two months’ worth of California income tax to deal with next year after we move to Pennsylvania — I resigned from my job in December. Today was my last day. It’s hard to believe I’m heading out and leaving my co-workers behind after five and a half years! But it’s a good thing. We’re off to new adventures. 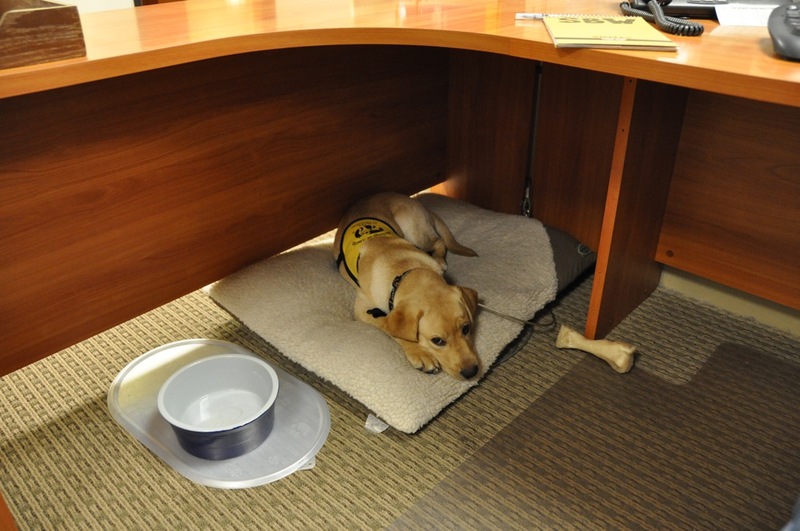 There have been many dogs under this desk…. This entry was posted in Career Change, Good News, JETHRO, Truman's Humans. Bookmark the permalink.